The book for the meeting is Niesamowita Slowianszczyzna by Maria Janion, published by Wyd. Literackie in 2008. Maria Janion is a very well known Polish writer, essayist and critic and a Professor of Literature at the Polish Academy of Sciences. Niesamowita Slowianszczyzna is a series of essays on Slavic mythology and identity. Club meetings are in Polish. 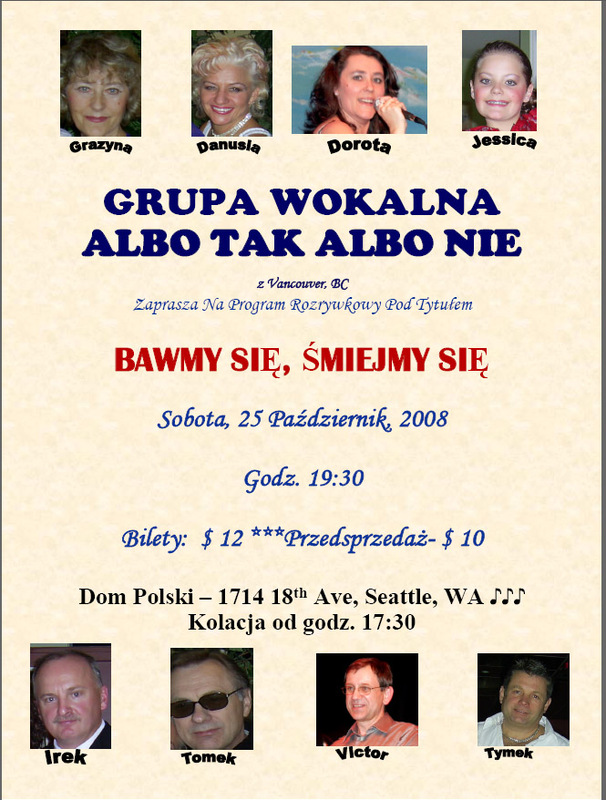 A Polish cabaret troupe, Grupa Wokalna Albo Tak, Albo Nie from Vancouver, BC, comes to Seattle with eight performers to present a program in Polish Bawmy sie, smiejmy sie. The restaurant and the bar will be opened for the occasion. Dr. Anna Niedzwiedz teaches cultural anthropology at the Jagiellonian U. in Cracow, Poland and is a visiting professor in Rochester, NY. She focuses on religion and its relation to modern media. 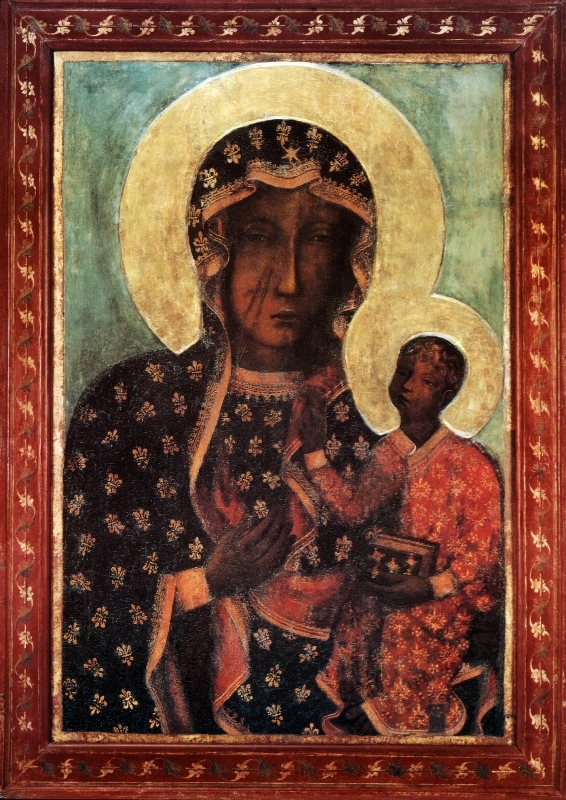 Her presentation Our Lady of Czestochowa: religious or national symbol of Poland? discusses symbolic meanings of the famous medieval icon in Polish culture and popular religiosity. 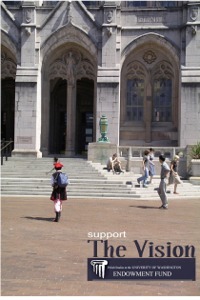 Organized by UW PSEC. Despite his young age of 26, Lang Lang is one of the most famous and sought after pianist of the world, also a bit controversial. At the Seattle Symphony his program includes: Hommage a Chopin by Andrzej Panufnik, Concerto for String Orchestra by Grazyna Bacewicz as well as Andante Spianato et grande Polonaise and Piano Concerto No. 2 in F minor, Op. 21 by Chopin. Gerard Schwartz conducts. This is a qualifier to the 2010 FIFA World Cup in South Africa. Polish Soccer Club of Seattle invites to common viewing of the live game between Poland and Czech Republic at the Polish Home. The Polish Home bar will be open for the occasion. This is the 4th annual auction organized by the UW Polish Studies Endowment Committee for the benefit of the Polish Studies Endowment Fund, as well as related scholarship and lecture funds. The event starts with a silent auction and a complimentary wine from 5 pm, followed by a dinner and live auction at 7 pm with many interesting items to bid. Where: at the Polish Home; tickets $15 advanced, $20/$18 regular/PHA members at the door. This turned out to be CNN International, not the regular CNN. As far as I know, it's not available on cable around here; it might be on satellites. Polish News regrets the error.